BellaBean Vintage and Blue Scarlet - The perfect collaboration! The lovely Emily Poulton in a 1960's gown on a rather gorgeous sofa by Blue Scarlet! Now OPEN 165 Gloucester Street, Christchurch, New Zealand! 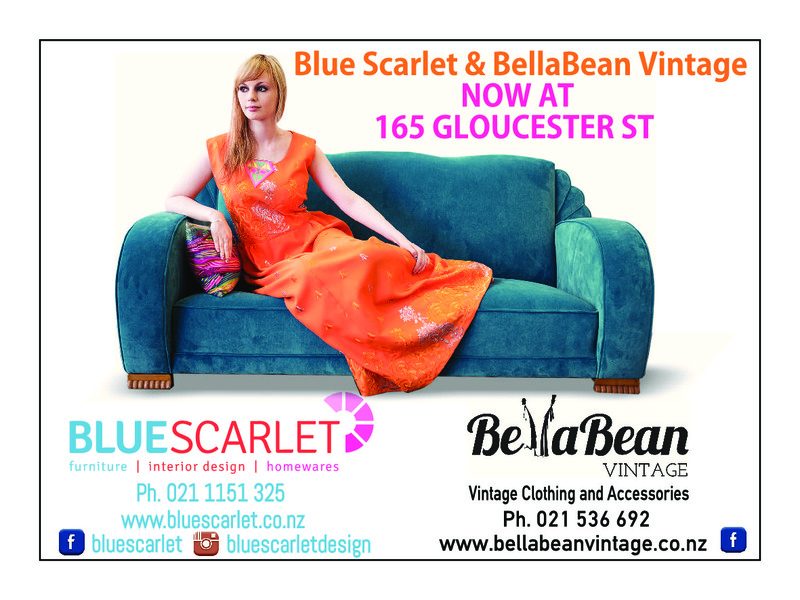 BellaBean Vintage and Blue Scarlet have a pop-up shop at 165 Gloucester Street, Christchurch, New Zealand. Genuine vintage clothing and accessories along with mid century modern furniture and a fabulous range of fair trade home ware.